Jo Gilpin © 2019 All Rights Reserved. ‘Brilliant Breastfeeding’ is a complete collection of the most sensible, evidenced-based and up-to-date breastfeeding information available at this time. It is for parents, future parents, grandparents and other close supports, to become familiar with what breastfeeding babies entails. Brilliant Breastfeeding is essential reading for every mother or mother-to-be. It is a book to share with partners and supporters because it empowers readers with knowledge and confidence. Brilliant Breastfeeding takes the stress out of all parts of breastfeeding your baby, from the vital skin-to-skin first feed, to returning to work. 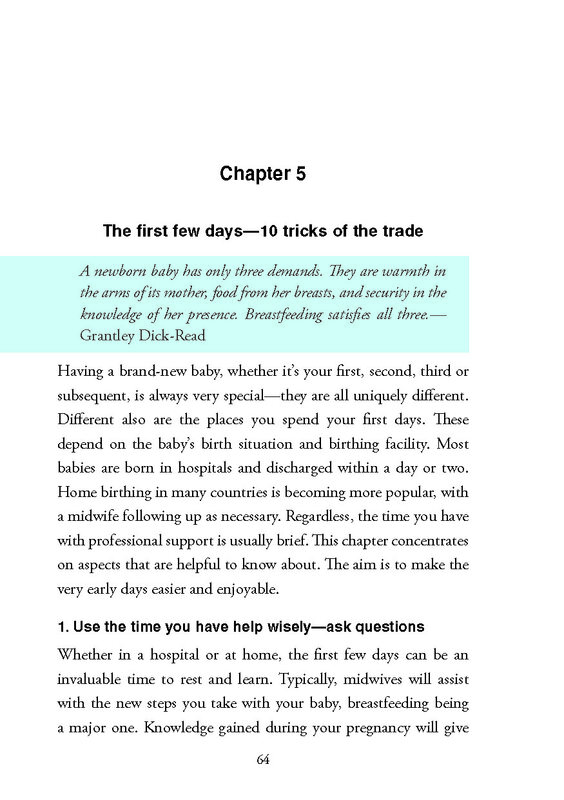 Jo Gilpin’s extensive experience as a midwife and lactation consultant, along with her friendly, readable tone, make this a unique and comprehensive book. It is more than a manual to arm breastfeeding mothers with the most up-to-date information and strategies for every possible scenario; it is a non-judgemental friend to help you to sit back and enjoy a unique time of loving and bonding. There are many topics to cover when it comes to breastfeeding and the book details all the important elements to successful breastfeed your baby. 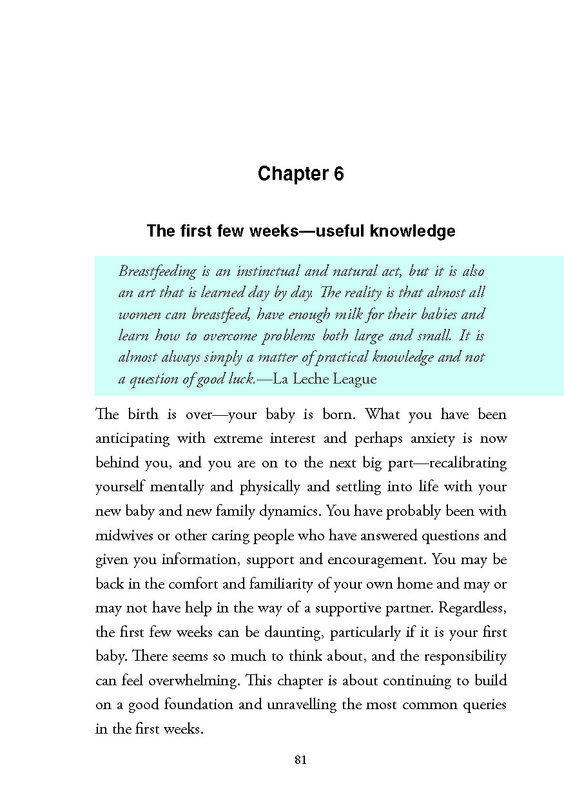 Here is few of the popular breastfeeding topics addressed in the book. Understanding brings confidence in the knowledge that supply is maintained by frequent baby-led breastfeeds, with baby attaching and suckling effectively. It’s great to know how and when to do this and that it is safe in normal healthy pregnancies - it eliminates the occasional need for supplementation after birth, with mother and baby benefitting from the ‘exclusive breastfeeding’ status. The baby's collection of microbiome at the time of birth is priceless information to have and can be used in different birth scenarios to give baby’s immune system a ‘jump start’ as well as seed his gut for aspects of his future health. The enormous value of baby and mother’s uninterrupted skin-to-skin contact as soon as possible after birth. This ‘primes’ the mother and baby for the first breastfeed which ideally happens within the first hour after birth. Babies with their new born reflexes and heightened instincts to wriggle unaided to one or other breast and self- attach and lay good foundations for subsequent feeds. Many mothers all over the world breastfeed with ease but it is also very common for issues to evolve that worry you. For your mobile and 'digital' convenience, the book can be purchased as an eBook on your preferred platform for your preferred device. There are many subjects to help all mothers and fathers in the bond of breastfeeding. Here is a sample of pages from the book... Easy to ready with common language and illustrational images. 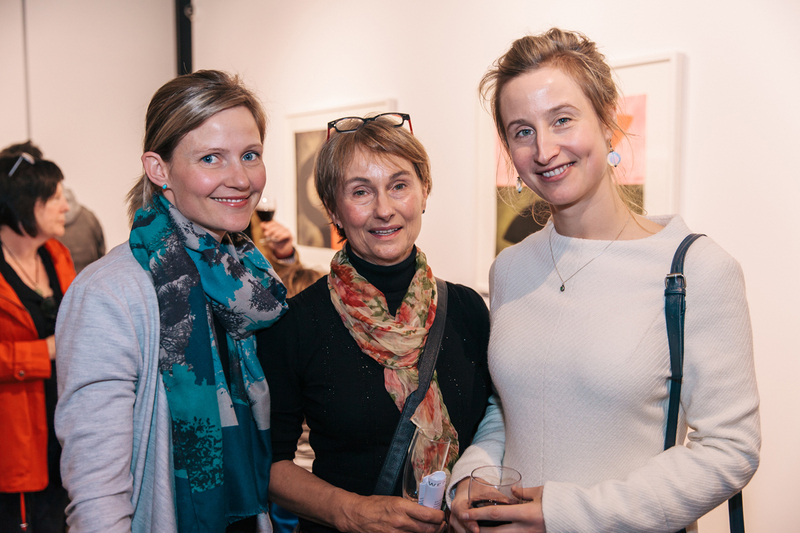 ‘Jo (middle) with Anna and Josephine -two of her beautiful nieces. Both were featured in ‘Brilliant Breastfeeding’ photos. Jo Gilpin has wide experience and knowledge, being privileged to work alongside parents and their babies for over 25 years. She is a Registered Nurse, Midwife, Child Health Nurse and certified Lactation Consultant (IBCLC) and currently runs a Private Practice between Penneshaw on Kangaroo Island and Adelaide CBD. Over the years she has developed a passion for helping parents enjoy breastfeeding their babies, because of her belief that it can play such a large part in family and community health, and that it needs to be supported and encouraged far more than it is at present. 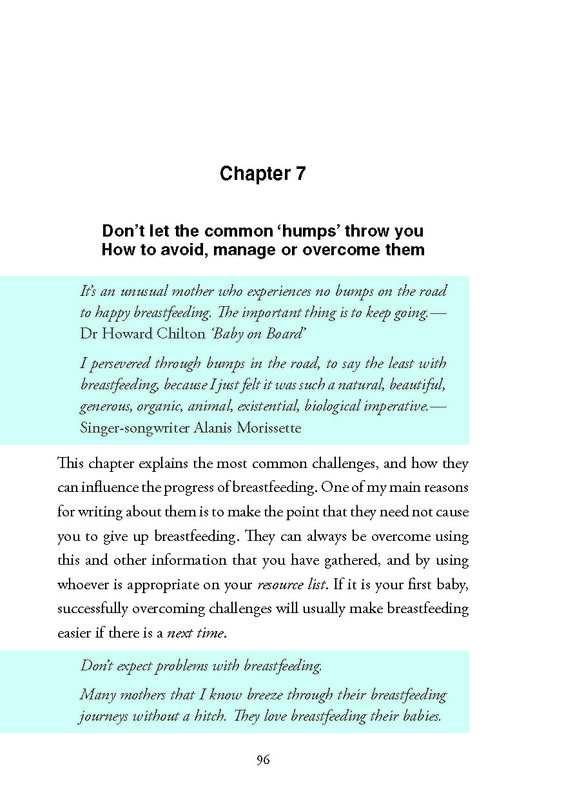 Jo has re-examined what makes breastfeeding work well for mothers and babies, bringing all important points together in an easy to read handbook. Drawing from her extensive knowledge, she exudes information and confidence to overcome any breastfeeding difficulties. Drawing from her extensive knowledge and 25 years of working with mothers and babies for breastfeeding success, Jo has twice shared her experiences and knowledge as a leading expert in lactation and breastfeeding though authoring two amazing books on the topic. We welcome all feedback from mothers, fathers and medical professionals. The more we talk, review and explore breastfeeding, the better our babies will be. Brilliant Breastfeeding is much more than a book on breastfeeding—it hits all the right points about the important issues in the early months with the new baby. Wow, this book is amazing! In a nutshell, it has everything you need to know about breastfeeding - and more. I wish I had it before Hazel was born, it would have made things easier for me. Every mother and baby is different and so are the questions. The book answers them all but here are some 'frequent questions answered. 01. I think I am getting Mastitis. What shall I do? If you have a sore and red area on one or both breasts; if you don't feel well (as if you are getting the flu) and maybe have an elevated temperature, this may well be the case. 02. How long can I store my expressed breastmilk? 03. I have very small breasts. Can I still breastfeed? Yes. Breast size has very little to do with breast production; it’s the changes in your breasts in early pregnancy as glandular tissue develops that make it possible for milk to be produced. (One of the first signs of pregnancy is sore breasts resulting from glandular tissue growth). 04. How often should I feed my baby? This answer comes straight from my book - page 75, 82 84 . As the days after birth become weeks, you may wonder how often to feed your baby. Generally, the simple answer is to follow your baby’s cues, or signals. Your baby will let you know by being awake and alert two or three hours after the last feed. Subtle hungry signs might be baby squirming, wriggling, stretching and ‘mouthing’ as if looking for the breast or sucking a fist.